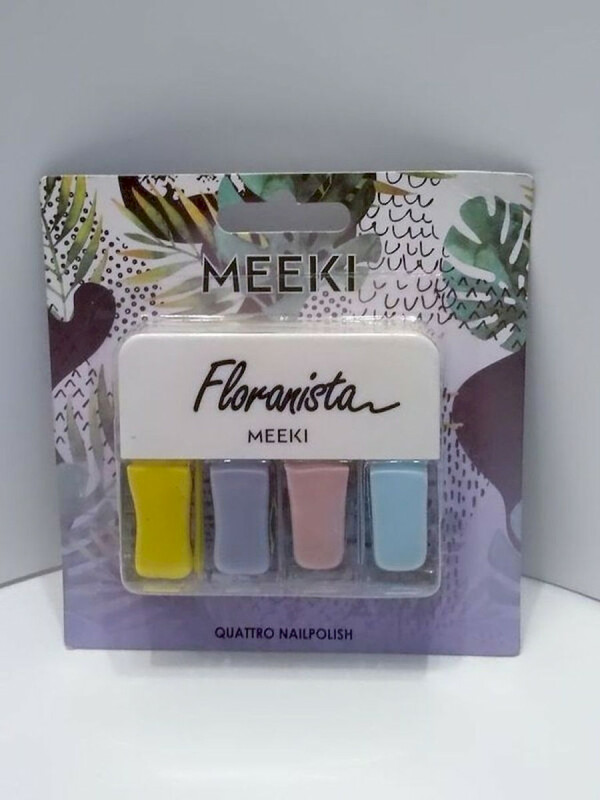 Make up - Nagellack in 4 trendigen Farben für einen schimmernden Glanz. Farben: Gelb, Lila, Pink, Blau. Aceryl Tributyl Citrate, Acrylates Copolymer, Adipic Acid/Neopentyl Glycol/Trimellitic Anhydride Copolymer, Aluminum Hydroxide, Borium Sulfate, Butyl Acetote, Diacetone Alcohol, Ethyl Acetate, Isopropyl Alcohol, Mica, Nitrocellulose, Phosphoric Acid, Phthalic Anhydride/Trimellitic Anhydride/Glycols Copolymer, Polyester-23, Silica, Stearalkonium Bentonite, Styrene/Acrylates Copolymer, Sucrose Acetate Isoputyrate, Trietnoxycaprylylsilane, CI 15850, CI 19140, CI 19110, CI 77266, CI 77510, CI 77891.